Professor of Energy Engineering, Professor Keith Pullen, is developing flywheel technology which could help reduce harmful vehicle emissions. Research carried out in City University London’s Department of Mechanical Engineering & Aeronautics could greatly assist in the reduction of harmful carbon dioxide, nitrous oxide and particulate vehicle emissions. 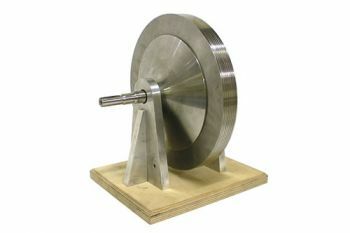 Professor of Energy Engineering, Professor Keith Pullen, is developing a unique flywheel - a rotating mechanical device used for storing rotational energy - weighing 12kg of rotor mass. His device can store the braking energy of a large car operating typically within a 30km radius in a city such as London. German vehicle manufacturer Volkswagen (VW) has recently admitted cheating emissions tests in America. It made its cars appear far less polluting than they actually are. The US Environmental Protection Agency (EPA) discovered that 482,000 VW diesel cars on American roads were emitting up to 40 times more toxic fumes than permitted. The company has also revealed that that its deceit affects 11m cars across the world. 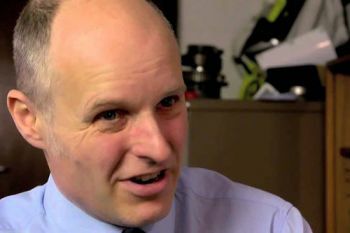 Professor Pullen is of the view that there is a discrepancy between the claims of automobile manufacturers and scientific evidence about the proliferation of harmful vehicle emissions. He adds that in addition to the recent VW scandal, there has been a legal loophole for many years in which the official NEDC test cycle is substantially at variance with ‘real world’ driving and yields unrealistically low emissions. In his opinion, the test avoids high accelerations, for instance, which are the very instances in which the most harmful and toxic pollutants are emitted due to high engine temperatures and turbo lag. Particulate matter is the term for solid or liquid particles found in the air. Some particles are large or dark enough to be seen as soot or smoke. Others are so small they can be detected only with an electron microscope. Because particles originate from a variety of mobile and stationary sources (diesel trucks, woodstoves, power plants, etc. ), their chemical and physical compositions vary widely. Particulate matter can be directly emitted or can be formed in the atmosphere when gaseous pollutants such as SO2 and NOx react to form fine particles.